Finally we have had some rain and the grass is coming back with the exception of the areas where there had been paths in the original walled garden. These totally dried out and will require some reseeding. This is the view I always post on my EoMV but for the end of August it is looking very green and brown as many of the flowers that normally would be at their best eg Dahlias are not out. This is the same view this time last year! You can see here how the dahlia, which should be about 100cm high and covered in red blooms has become dried up with the lack of water. Hopefully the tubers will be OK for next year! This Dahlia Bishop of Llandaff together with Ricinus communis ‘Impala’ look good because they happen to be on automatic watering as the area is very dry being under the steps. This would have been a good colour combination with Rudbeckia ‘Dwarfs’ and Rudbeckia ‘Cherokee Sunset’ set against the dark foliage of Dahlia ‘Twyning’s After Eight’ but once again the dahlias have done nothing yet. Maybe the rain will bring them into life. The roses have not repeated but there is still time. Some areas have come through relatively well. Here Rudbeckia fulgida sullivantii ‘Goldsturm’ seems to like the heat and Hydrangea arborescens ‘Annabelle’ towards the back is full of blooms although we did water this. This area is more like prairie planting but again the Dahlia ‘Fairfield Frost’ should be covered in white flowers and be at least 30cm taller. Salvia ‘Cerro Potosi’ obviously likes the heat. And similarly Perovskia ‘Blue Spire’ looks very happy. This is Cosmos ‘Cupcakes White’, a very nice Cosmos that I will certainly grow again. Other areas look very dry and brown although Rosa ‘Alister Stella Grey’ is beginning to repeat. The good news is the grapes are looking good! and oddly the Wisteria is having a second flush. Meanwhile by the compost heap I found this young grass snake. Maybe an off spring from the large one I photographed earlier. The hours are beginning to add up. In August I have done a lot of hedge cutting. Particularly with Box the current view is to cut in August to help prevent blight. This has been a difficult year with a cold grey spring followed by a very hot dry summer. I realise this is to be expected in the future as a result of global warming and we will need to adapt to this. 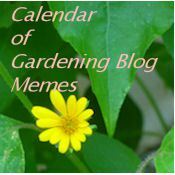 Do have a look at Helen The Patient Gardener’s blog where you fill find links to other gardens at the end of August. Thank you to Helen for hosting this meme. It is apparent that your area needs more rain. This looks more like my part of the world rather than England. Many of my plants are shorter than they normally grow. I just hope they survive this hot dry summer. I hope yours does too. I remember the snake picture from earlier. Amazing what a snake will try to eat. I wonder if could have swallowed that toad without your disturbance. I rather doubt it. Nature is grand. Thanks Lisa. Yes we normally pray for sun but not this year. I guess we have to learn what needs watering and what we can leave. Despite the damages produced by the heat, your garden still looks beautiful. Thanks Anca. Things are starting to revive now we have had some rain. It’s so disappointing to be at the mercy of the weather for such a long time, especially if you’re not used to having a long dry spell in summer. It’s par for the course for us. Your garden still has a lot to delight the visitor, though. I’m surprised to see Ricinus communism growing in your garden- it’s a noxious weed here. Hi James. Ricinus is quite unusual here. I normally pay around £3 for six seeds and grow them in the green house as I love the foliage. maybe if continue to have hot summers it will become a weed too! I’m sorry to hear about your dry summer. I’ve been reading that it is all over Europe. We were in a drought for several years and finally the rains came back. Hopefully, it will for you too. Thanks, Well we have had some rain now and parts of the garden are recovering. It remains to be seen how many plants will not come back. I guess we will need to wait until next year now. By Californian standards, it looks pretty fresh. We can grow just about anything here with enough watering . . . if we want to. However, many of us are pretty conservative with watering. hi Tony, to be honest I do not have enough time in my life to water everything in the garden. Normally this is not an issue as it rains…………………but not this year. Well, no one should water everything all the time, even here. It is best to grow what is happiest in the respective climate. Most of us can justify watering sometimes, but not excessively. Your grapes look delicious, I’ve only planted one recently and so far no grapes, fingers are crossed for next year. My Dahlias thrive on the heat but are regularly irrigated as they are on the cut flower beds. Thanks Christina. Will be picking the grapes tomorrow for Chateau Glebe House! I am still surprised at how hot and dry it has been in the UK. Are they making you ration water usage? I know here in parts of the US where it is hot dry they do that sometimes. Ad I hope your dahlias come back. Do you dig them out and store them? Some parts have had water rationing. The issue in England is that we are a very small island with few mountains so few natural water sources. Since we have had some rain most of the dahlias have come back and yes I do lift them each winter. Hi Sarah, I think we have all struggled this year with the weather, I must remember to join you next month.